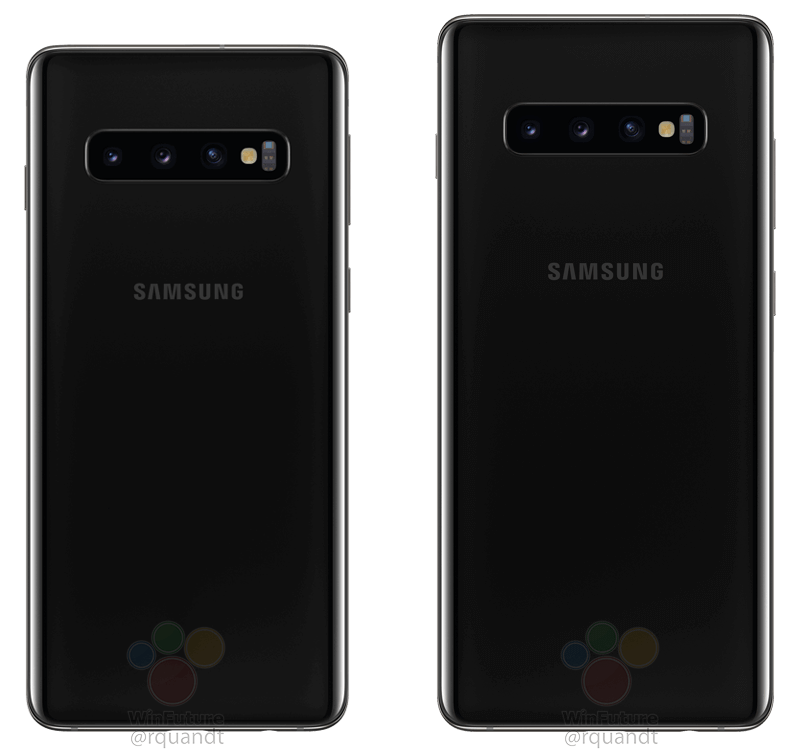 Samsung can't seem to keep its upcoming S10 smartphones under wrap as new press renders of the phones have leaked online. 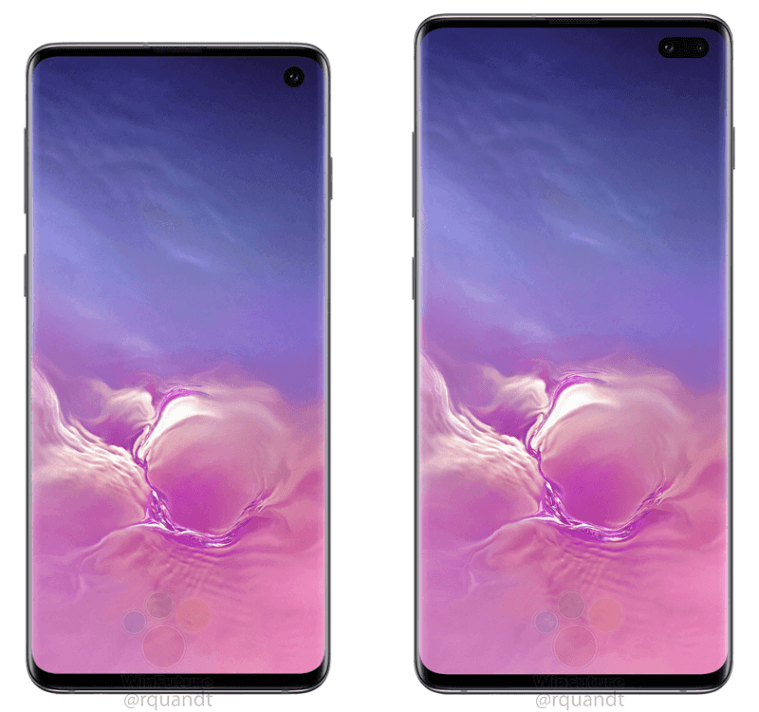 WinFuture and 91mobile have got their hands on and published the press renders of the upcoming S10 & S10+ smartphones which Samsung is expected to announce at the end of this month. The phones show off the hole punch style front facing cameras, with a single front camera on the S10 and a dual front camera on the S10+. Additionally, on the back of the phones, we see three cameras all arranged in a row. The much loved Bixby button appears to be still present, unfortunately, but some good news is there is still a headphone jack located at the bottom of the phones. 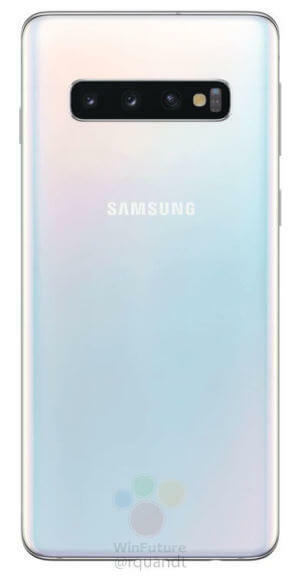 The S10 & S10+ are expected to come in three different colours at launch, Black, 'Prism White," & Green. Though a blue version is expected shortly after launch, the S10e, the lower end version, could also come in yellow. Samsung is expected to announce the new S10, S10+, S10e, and the Galaxy F at the upcoming Unpacked event happening on February 20th.